At Restoration 1 of Southern Connecticut, we understand that water damage and flooding can do untold damage to your Waterbury business. Floods are the single most costly disaster in the United States, causing over a billion dollars in damage per year, and can be espicially damaging when they hinder or stop your company's regular business. If your business has suffered flood damage, the professionals at Restoration 1 of Southern Connecticut can help. Give us a call as soon as possible after the flood or water damage occurs, as often times flooding and water damage need to be addressed as soon as possible to prevent potential permanent structural damage. The Restoration 1 of Southern Connecticut team is committed to using modern drying technology and water damage repair techniques to restore your Waterbury business to its pre-flood condition. We pride ourselves in our quick response time and our highly trained water damage restoration professionals will make you feel at ease about your commercial water damage issue. 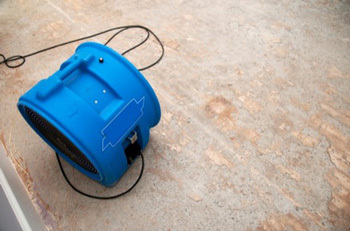 At Restoration 1 of Southern Connecticut, we have the experience and the know how to handle any kind of commercial water damage problem. Contact us today at 475-234-2882 so we can help you with your Waterbury commercial water damage issue. I had a mess on my hands when my water heater burst and flooded my house. Restoration 1 of Southern Connecticut was very easy to work with and was able to quickly clean the flooded area. I would recommend their services to anyone.